I am still a little bit incredulous that I have actually been keeping up with my daily calendar journaling for the entire year! Here is July's page for the Kathryn Wheel challenge. I'm also pretty proud of myself that I'm actually posting early this month! No catching up for me, this time. I drew and watercolored this chubby kitty, recently having been hypnotized and inspired by Snoopy the Exotic Shorthair. I couldn't stop looking at this cat... He is like a cartoon... A puffy, adorable, real cartoon. I'm a bird person, but if I ever got a cat, I'd want it to look just like this one. And here is a collection of all my pages so far to show you all the different colors of my calendar! February shows twice, but you get the idea. Oh meow meow meow. This is the painting before I cut him out for my calendar page. Happy Saturday! I hope you're all having a beautiful weekend. I love your calendar pages. :) I would totally buy a calendar filled with your art. Love to see them all lined up together. Enjoy the next 6 months of the challenge. your july page looks so cute, love the cat! and the real one looks like a cuddle magnet! I love your colors and the kitty. I have a couple kitties...neither of them look that well groomed! How do they do that? Your painting captures him perfectly. Just love your cat painting and your cat! Great pages for July! I love the page. Your kitty is so cute!!! Cool! And don't your pages look just fabulous when you see them all together? And well done for being so well organised! Half way through already - doesn't time fly? Im an avid follower, rarely comment but just in awe of what do!!! Your pages are great expecially the drawing of the cat. Fantastically colorful pages-all of them! 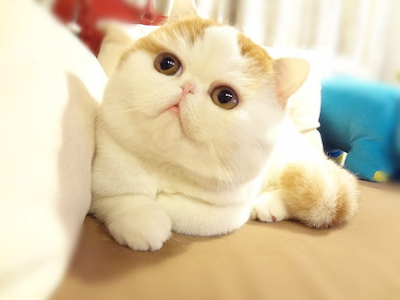 I adore your chubby kitties-how sweet. Very cute pages! That cat cracks me up and your drawing of it is adorable. Fun! Love your cat! Your July colours are fab! can't believe that's a real cat! love your painting of him! What a cute little cat. Love the brightness of your pages and so clever...that cat you have drawn is so cute. I love your cat !! And your calendar pages are sooo beautiful, love the colors !! Wee Button Books and Unique Crafter's Challenge!